McALLEN — It was an unusually lonely Friday night on 17th Street, in the heart of this city’s entertainment district, where cold temperatures and light rain appeared to have kept many of the regulars indoors. 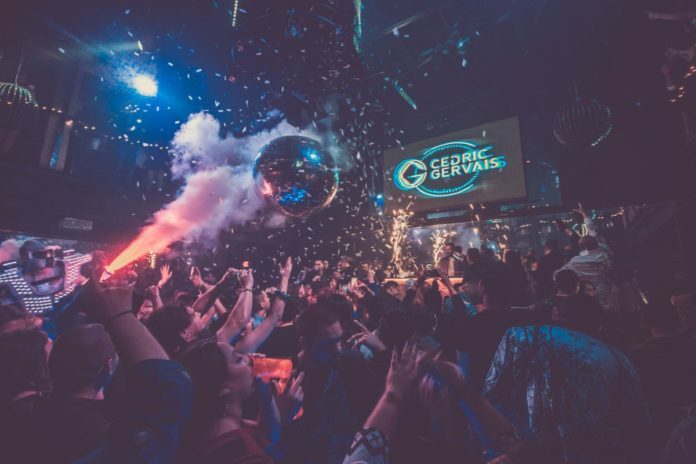 Despite that, behind the stanchion ropes of COSMO nightclub, more than 500 people gathered to see Cedric Gervais, a Miami Beach-based EDM artist. Unlike the typical Valley concert for electronic dance music, this show did not allow any minors and catered specifically to a more mature audience. “My objective was to bring in the over-21 crowd who still have an appreciation for electronic dance music, and I think we accomplished that,” said Paul Magee, CEO of GlobalGroove events. The show was completely sold out, and so was every VIP table in the venue, each fully equipped with bottle service. Servers carrying toy yachts with fireworks and champagne bottles aboard maneuvered through the dancing crowds as they delivered the arrangements. Multicolor strobe lights pierced through the atmosphere, reaching every corner of the room, occasionally reflecting on the giant disco ball at the center of the two-story venue, giving the space a real “Vegas-vibe,” as Magee describes it. Shows like these don’t happen often, however. This is the first over-21 EDM nightclub event with an out-of-town performer and paid ticket in the Valley since Magee can remember. “The electronic music scene for older people in the Valley is virtually non-existent,” Magee said. But the party isn’t over yet. GlobalGroove will now be hosting monthly events at COSMO as part of a series dubbed “groove sessions,” featuring different EDM artists from out of town. For more information, visit www.globalgrooveevents.com.